The game of golf has always carried with it an element of exclusivity. In an effort to grow the game, the golf industry has made a place for those not belonging to high-investment golf clubs, and heading to work in suits every morning. However, there will always be a classy, luxurious side of golf, that I personally hope never dies. I would venture to say that many who pick up a copy of Vogue Magazine, cannot afford a Prada hand bag. But a girl can dream right?! A bit of luxury is intriguing and gives us something to admire and desire. 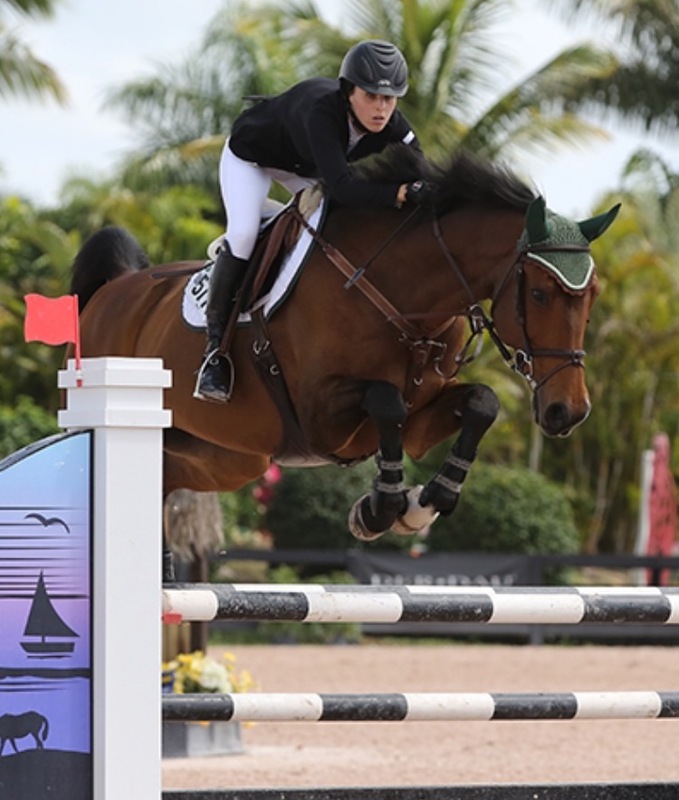 I first became aware of Animo in the fall of 2013, when I went to watch Erin Walker, accomplished equestrian show jumper and wife of PGA Tour Champion Jimmy Walker, compete at a horse show. I was so impressed with all the equestrian apparel that ladies, including Erin, were donning. Every piece was so slim and sleek. Erin frequently keeps me abreast of trends in the equestrian circuit and it was at this show I was introduced to an Italian brand called Animo, that she often wears for jumping. She let me know that the brand was creating a golf collection. “I have worn Animo for years competing on my show jumpers. They have been a staple on the equestrian scene for a while now and it’s very exciting that Animo is branching out in to the golf world. 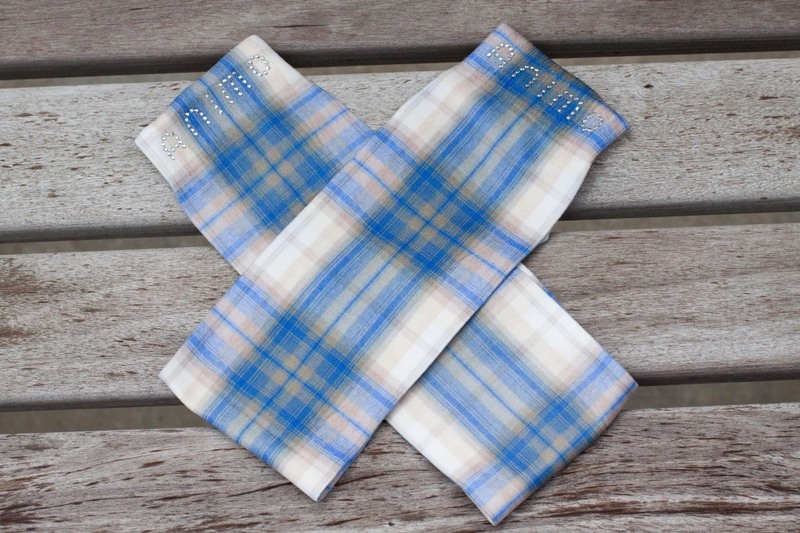 The Animo fabrics are perfect for on the golf course or riding, and their design style is always cutting edge. It’s a great brand and looking forward to see where they are headed with the golf line,” Erin shared. Jimmy Walker has told me himself that he loves the slim European fit of the Animo pants. 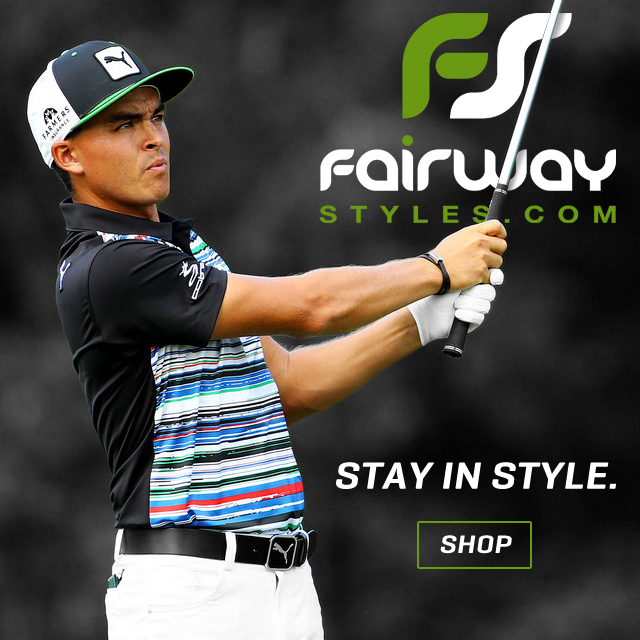 Of course, Jimmy proudly wears FootJoy golf apparel, but he has been shown the Animo golf collection and spoke favorably. As a member of the golf community, Erin has shared insight & feedback on the Animo golf line with Armando Hassey, North American Distributor for Animo. “Erin is so gracious in her support of Animo. Of course, she could be a model for us, she looks super stylish in everything from Animo!” said Animo US representative, Michelle Albertus. 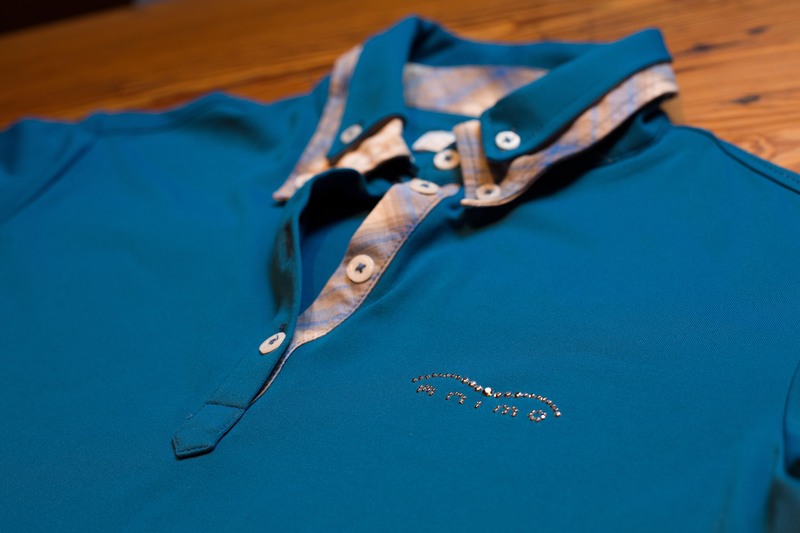 After Animo grew very successful in the US, it became evident it could also realize success in the golf industry, and provide a luxurious golf apparel option. Of course, Italian luxury doesn’t come cheap. Most items range from $200 – $300 each. Animo Italia is known for its innovative and stylish sportswear, designed and produced entirely in Italy. Combining creative designs, advanced technology fabrics, and a passion for sport, Animo produces very high quality articles for the discriminating athlete. 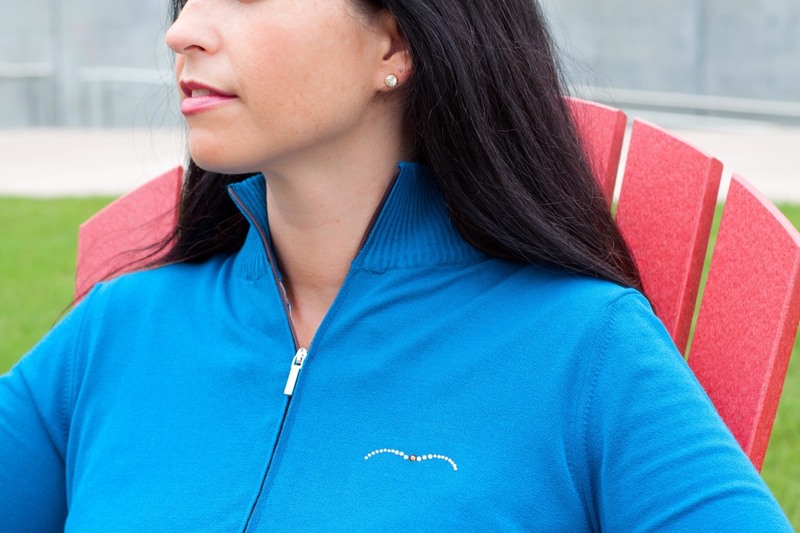 Animo golf apparel for men and women provides maximum style, comfort, flexibility, and freedom of movement. 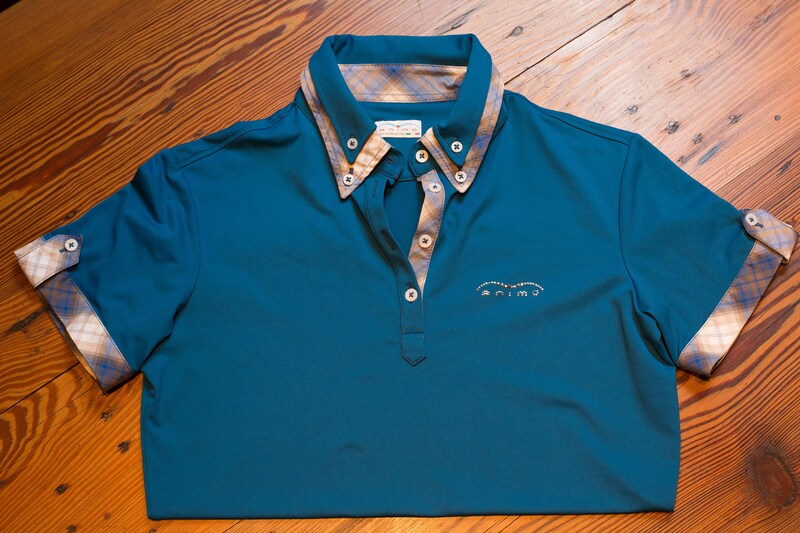 It can be fashionably worn on or off the course. I say, if you have the cash, flaunt this finely designed brand. It is comfortable and gorgeous on. The details are just beautiful. My favorite is the “Sam” sweater made of viscose rayon, I am shown wearing above. Before ordering online, be sure to call Animo and work with them on getting your sizing right though, as sizing is European.